ESPN has this little thing up called "The Face of the Program," where fans vote on the single guy who most represents their favorite football program. In a statement about the type of people who vote on these things, at press time, Urban Meyer is winning. Urban Meyer will always a role in our program, both because we had him first, and because he jump-started a moribund program. But, come on. Doyt Perry coached the Falcons for 10 years. During that time, we won 85.5% of our games. Meyer's 74.9% is good, but pales in comparison, and was not carried out over 10 years of continual excellence. Perry also won MAC Championships and once took a team to an undefeated season and small college national title. I already voted, but there's no doubt in my mind. Doyt Perry is the face of our program. I mean, shoot, Rocket fans know its Chuck Ealey, for heaven's sake. Ryan is back with #2 in his series of questions...today the defense! You can see what Ryan has to say on his bladeblog about the Falcon defense. Say the words to yourself slowly...highlight reel. I understand that everyone looks good in highlights, but Morgan showed a combination of size and agility that I didn’t see from every other DB recruit. Ryan is more optimistic than I am. He really liked the spring performance, since the offense is supposed to be good and the defense dominated. I worry because our line is so thin and young that our D-line might have had a better day than they would against a starting MAC offense, and, like Ryan, and maybe more, I worry about depth at LB. John Haneline is a really good football player and we need him to stay healthy. I will agree with this. If there is a benefit to playing so many young guys, its that you should have a pretty good squad when they get to be upperclassmen. Well, that bill is due now. I'd love for Ryan to be right. A defense that got off the field even a little more often and could stop the run would make us hard to beat, and if we are pointing to a MAC Title at Ford Field, then eventually they are going to have to line up and stop Dan LeFevour. Also, if you get a chance, read the Orlando Barrow comment. Quality humor from Ryan. I looked onto my Yahoo! Buzz page and saw the big mover was Graham Bunn! I haven't blogged this, but Graham Bunn is a former Falcon hoopster (who eventually transferred to App State and played professionally in Germany), and was just this week cut by the lovely DeAnna Pappas on the Bachelorette. (I guess she's lovely if you like that kind of thing. She looks like Rachel Ray to me). Based on this blog, he did make her feel like crap for doing it, so he does have that going for him. He made the final four, but not the big Dance!! HA! I also note that this blog entry has 782 comments posted to it, and no, it doesn't make me feel better about America's chances in the global race for survival. Even the presence of a Falcon isn't enough to get me to watch that show. It does bring up any interesting topic. What Falcons could we recommend for OTHER reality shows? Rumor was John Rhodes would get the OU job, but apparently John Groce, a Thad Matta assistant has gotten the job, per Vandelay. Probably a good hire for the Bobcats. Matta has a very successful program. Temple Football Forever is back. Their AD just got a contract extension, so I just wanted to post this prediction: Temple is about two years from a MAC Football Title. As we chatter and dissect our favorite college football teams, we sometimes forget that those are human beings out on that field, and they're undergoing remarkable sacrifice to be successful. You can double that in football, where the game takes such a toll on the bodies of our young men. To wit, the sobering story of Sean O'Drobinak a TE from Indiana who came to BG and was eventually moved to the D-Line, and spent last season taking two cortisone shots before every game. The story begins with a serious neck injury in high school, and ends with Sean working out for an agent when he just decides enough is enough. A must read for any Falcon Fan and a reminder to keep the human element in our minds. Every D-IA player has a good highlight reel. Recruiting services are as uninformed on the MAC as I am. I like to look for validation--All-State, All-conference, Etc. Four of those players contributed in their first year here, while the others red-shirted. So, let's see what we have for this year's class. A quick note. O-Line!!--DANG!! Looks like some quality there. Tim German (OL): Two-time All-Ohio and a member of state runner-up team. Aaron Pankratz (QB): Highly decorated, 6'6" QB from Nordonia. Next in the line of great Falcon quarterbacks. Presence of Andrew Beam insures his redshirt stays on. Lane Robilotto (DB):--Two-time All-Ohio and enrolled early at BGSU. Great numbers, seems poised to be a very good player. Charles Robinson (OL): Also two-time All-Ohio, and team offensive MVP. Marc Stevens (OL): Highly decorated O-lineman, and the Falcon nation is fired up. Played well in an all-star game too. Next in the line of great Falcon centers. Anthony Stover (LB): Ohio D-III defensive player of the year, along with other accolades. Blaec Walker (OL): Also all-state and second-team All-American. Andrew Beam (QB): The ultimate tweener. Maybe a high tweener. Beyond the gaudy highlights, Beam was second-team All-State in California, so had we recruited him then we would have been pretty thrilled. Good JUCO numbers and honors add to the case. Robert Lorenzi (DB): Another JUCO. 14 INTs in two season. Has the same birthday as me, and Urban Meyer. Marquese Quiles (DB)--Looks like a high tweener to me. 7 INTs in his senior season and player for a strong team in Georgia. Still, no mention of even all-conference honors. Blocked 10 kicks (OMG OMG OMG) in two years. Adrien Spencer (DB)--All-Indiana his senior year. Again, though, most contributions appeared to be on offense. Brother plays for Dallas. Jonathan Davis (DB)--Was his team's Offensive player of the year, but we project to defense. Track letterman. Was all-conference, but its not clear on which side of the ball. Keith Morgan (DB)---Same story. Hugh offensive player (conference MVP and all) but defensive ability has yet to be documented. Winston Etheridge (DL)--No honors. Did emerge from the factory of Ted Ginn, Sr., so that's something. DeMark Jenkins (WR)--All-Conference and HM All-State in Indiana. Casey McHugh (OL)--JUCO. Admittedly, this system can be tough on lineman who do not have stats. Gerald Phillips, (K): From Clyde. Really hard to tell. I assume people have figured out he can kick. Nicholas Tuminell0 (DE): Was all-conference, but not much else to go on. Barrow is on "interim suspension" at BGSU. 2003 Recruiting Class in the rear view mirror. We spend so much time looking at our recruiting classes when they are coming in that we sometimes forget that the best time to evaluate them is when they are going OUT. Of course, that's about recruiting and coaching, but if a bunch of guys don't make it to the end of their career, then I guess that tells you something, right? Most of the seniors from this year were from Coach Brandon's first class, the one he recruited when Urban Meyer walked out the door in December. That's a short time window, and Coach has alluded to the idea that maybe Urban didn't have his eye on the ball entirely during the recruiting period. A couple things are not in doubt. One, we had a slim senior day this year. And, our struggles in 2006 we attributed to the weakness of this class by the coach himself. Sadly for Brandon critics, the numbers bear him out. There were 23 players in that class. Below are my subjective rankings of their career. One things is beyond debate: 11 of the 23 were more or less total wash outs, and generally because they were not set up to be collegiate athletes. (I know one of them did leave for health reasons). So, if Coach Brandon says he had to take some guys he didn't want because he was behind the 8-ball, there were 10 guys in this class who fit that category. The class developed four truly strong players, as noted below, and they were good ones. One was a fourth-round NFL draft pick....pretty good. But, you'd hope for more. Only 8 of the 23 made any real contribution at all. I'm going to look at some numeric comparisons here in the near future, but clearly, this was not a recruiting class stocked with championship quality players. The ones who excelled deserve our thanks....we only wish there were more. 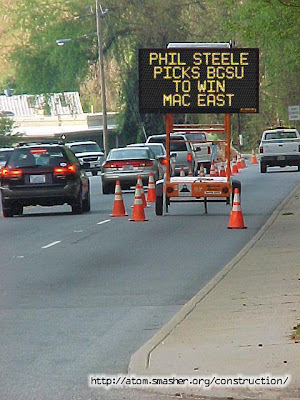 As you saw yesterday, Phil Steele has picked the Falcons to win the MAC East this year. This is significant because...well, its not actually significant in anyway. Its good fodder for the hot stove league. Which isn't really the right term is it. Its not like anyone is sitting around a hot stove in June anywhere in college football country. More like the BBQ league. Phil Steele has kind of a mythical status among college football junkies because, frankly, he knows his stuff. He has a systematic approach to his analysis, and he covers the MAC as seriously as he goes the Big 10. Unlike the more popular preview mags, he isn't likely to talk fondly of a guy who left school over the summer. He's on top of it, even for non-BCS Schools. Like him or not, his system is to look first for returning starters, and that's part of why he likes BG. He also looks at schedule--who has tough games and whose tough games are on the road--because he recognizes in a seven-game season, that matters a lot, and there's no way for any league to equalize it. He likes that Miami is at our place. And 12 starting seniors. FWIW, he has Central winning the West. And, Central is real good again, with the best QB in the MAC (and he's a JR!!) and a team that is used to winning. We have lots more speculatin' and arguin' to do before the season starts up. For now, let's pop open a beer, put steaks on the grill, and enjoy the pre-season, when everyone is a contender. Ryan at the Blade has some questions for the Falcon football program. Of course, he's a REPORTER, so that's what he's supposed to have. But no--Ryan goes a step further--he even has answers. Feel free to click here and read what he has to say. Allow me to interject some coments and a couple of additional questions, too. I guess I agree with Ryan's final assessment about who should start at QB--the same guy who did last year. I know everyone is all "OMG" over Andrew Beam, including, apparently, Ryan. He may indeed be OMG, but your judgments are based on a highlight reel. Say the words to yourself slowly...highlight reel. The same thing happens at recruiting time. Coaches show highlight reels to demonstrate what players can do. My question is this: do players who go to Eastern have good highlight reels? I think we know the answer. And they're brutal every year. I'll tell you what would be more interesting....a tape of their worst plays. Anyway, I'll believe Andrew Beam is better in our offense when he does it consistently. At RB, I guess Ryan is right. Starter isn't vital because both Turner and Geter will get carries. Willie is small, and I worry about him carrying the workload, but Turner seemed to be in the dog house during the spring. Note Ryan's pessimism related to Eric Ransom. As for the offensive line, I would say that is indeed the biggest challenge we face. Note that Ryan does not believe there is confidence in some of the returning upper classmen, as he seems two freshmen making the two-deep. Or, they are that good. (Cue Marc Stevens reference). Quick hits: I hope we run the ball effectively ALL year, and you're right--Coach Brandon is the offensive mastermind. Are we slightly overconfident at receiver? What do we have after Freddie Barnes and an oft-injured Corey Partridge? Can Tyler throw the deep ball yet? OU Coach Tim O'Shea is leaving to accept an 8-year deal to usher Bryant College---a place I have never heard of until tonight--into Division I hoops. He is a native easterner, and it seems like a geographically good move. I don't know if its a better basketball move, but he won't be living in Athens anymore. John Rhodes, a former OU player and as assistant with overseas head coaching experience is thought to have a good track on the job. The Windsor Lancers' men's basketball team announced their U.S. opponents over Labour Day weekend. The Lancers will play Southern Illinois, of the Missouri Valley Conference, Saturday, Aug. 30 at 7 p.m. and then Bowling Green, of the Mid-American Conference, Sunday, Aug. 31 at 1 p.m. The Lancers and the Salukis will then play again Monday, Sept. 1 at 11 a.m.
"It's another great opportunity for our players to play against some of the best opposition we can schedule," Windsor coach Chris Oliver said. "Southern Illinois has had a great recruiting class and they're a traditional power in that conference." As for the Lancers, Oliver said "we'll have at least six newcomers to our team so it's a great head start and a chance to get a feel for who we are." Each day is billed as a doubleheader with Western playing the same two NCAA teams. Tickets are $5 for each doubleheader and they're available at the St. Denis Centre door. All-Time Falcon Hoops Five....Got Nate? 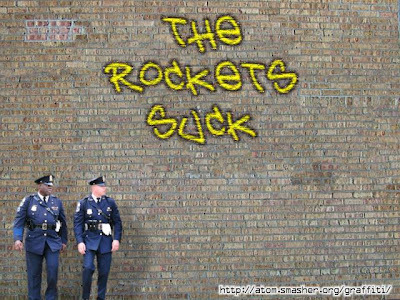 Our friends at AZZ.com are on board with a great off-season hoops thread. The question is...name the starting 5 for our program's history. Always a great way to start a bar fight. Anyway, its kind of a Rorschach test on your perspective on the program. Younger people tend to pick younger guys (Komives? Who?) and older people tend to pick older guys. 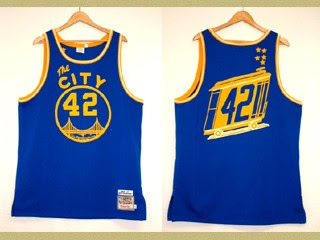 The best possible case in point is that some of the people didn't name Nate Thurmond on their team, which is pretty hard to believe. Others who merit at least some consideration would be Colin Irish, David Jenkins, David Greer, Marcus (ek!) Newbern, Walt Piatikowski, Cornelius Cash, Al Bianchi, Crys Ellis...but I don't think any of them can top the players you see on that list. I would say the closest call for me is whether Colin Irish goes on or Anthony Stacey, but I just think Stacey was a tougher, more clutch player. One other historical note: see this letter to the editor in The Blade where a local community leader calls for Butch Komives' number to be retired. If you look, his number are unreal, especially given the lack of a 3-FG. A while back, I started to apply my passion for statistical analysis to our basketball team, referincing stats from kenpom.com, which I am hoping I am not stealing. The primary trend in statistical analysis is to look at team stats in a tempo-free fashion. (This data is from ). For example, Buffalo runs an up-tempo attack. Accordingly, they led the MAC in scoring. But, does that mean their offense was the best? Conversely, a team that slows things down (such as Miami and BG), among others, won't score as many points as Buffalo, but does need to maximize each possession. On the offensive, side, I think its fair to say that the contribution of these new metrics, was, well, meh. It didn't really tell us much that we did not know. Let's see if defense fares any better. Here's what we concluded looking at the conventional stats. What does this mean. We were building this team on defense, and we did limit the opposition from shooting on us. However, they seemed to do a little better on 3s than on 2s, and that tells me that the inside D was good but the outside D (guards) was less good. Plus, teams got the benefit of more possessions, since we forced so few turnovers. Finally, once the ball hit the boards, they got some second chances, too. The possession-based stats....well, they pretty much tell this story. BG was second in effective FG% (which factors in 3-pointers into the overall FG%). We were dead last in the percent of possessions in which we forced a turnover. We were 10th in allowing offensive rebounds. Were were in the middle of the pack in allowing free throws vs allowing FG attempts. Its really the same story. Teams did not shoot well against us, but they got more attempts because of the low number of turnovers, and got lots of second chances. Really, not much knowledge gained here. I think that if we are really going to break down this game, we can't do it just looking at boxscores and beating that data to death, multiplying here, creating a ratio here. You get the idea. There are some really good questions to be answered, and I think possession-level stats would be really valuable. But data needs to be collected on each possession in raw form, not aggregated. The same thing has happened in baseball--lots of new data sources have yielded new info on the game. Does getting to the free throw line really help a team that shoots well? What players are on the floor when the team tends to score and defend well? How often does a possession with a blocked shot end up with an offensive basket anyway. Does the kind of turnover effect the damage? Does a moving turnover (like a steal) hurt more than a deadball turnover (like traveling). Are more offensive rebounds garnered on 2 point jumpers than 3 point jumpers. Are possessions with more passes really more effective? Its always nice to see former Falcons having success, and its always important to remember that in basketball, there are nice livings to be made playing overseas, something that is not really available in most other sports. Anthony Stacey has had success overseas, and now we hear an update on Lenny Matela. He averaged 10 points, 5 rebounds and 22 minutes a game for Spirou, which is situated in Charoleois, a mining community near Brussels. "Our leading scorer only averaged 12.5 points," said Matela. European players command salaries ranging anywhere from $25,000 to $2.5 million with perks including free housing and transportation. And he notes that the free car was a Mercedes at one point. Lenny was a great Falcon on a star-crossed team. The Falcon Nation sends out its best wishes to him! A while ago we joined in on the Internet feeding frenzy (really?) about an ESPN report that the MAC might expand. Anyway, the MAC Report Online jumped on the story and called Rick Chryst who said it wasn't true. And MAC Report Online, acting to protect its "most favored blogger" status acted as the MAC's stenographer and dutifully re-published the thoughts unexamined. Chryst has this ability to say things that strain credibility. Among them is that conference expansion wasn't even discussed at the MAC Spring meetings. Come on? The Temple and Western Kentucky things might not be very far along, but the idea expansion was never discussed is hard to buy. The games times are out for Falcon Football...see below. Buffalo (Nov. 21, 6 p.m.). The nation is in a bit of a snit because there are only two games under the lights, and one of them is in the frigid part of the calendar. The homecoming game is always during the day, but the Miami and Kent games--no explanation there. I thought night football worked for us--at least as a fan. But, my guess is that if you look at the macro-trends, our attendance has been about the same before lights as after. Our attendance is driven by a small number of die-hards, and then more people when we are winning, or playing Toledo or Miami. Day, night, doesn't seem to matter. After finishing last in the Reese Cup (overall standings for all men's sports) for the last two years, the Falcon Nation was pretty restless. There's simply no reason for us to be last! And, this year, we finally climbed out of the cellar. EMU won, but powered by football and baseball, we found our way to eighth place in our 12 team conference. (One sport teams like Temple and Hardwick (men's soccer, who knew?)) are not counted. EMU has lousy football and its men's basketball has been poor since Ben Braun left, but they are strong across the board in their men's sports, largely swimming, cross country and track. Those guys are every bit the committed athletes that the players in the high visibility sports are. So, its a start. 8th is still not what we expect, but its a step in the right direction. Was alerted (through Azz.com) to some great footage on Youtube of Falcon Football. This is from 1963 (we are told) when the football team played in the big grassy area just to the south of Anderson Arena. Enjoy. Ask the AD, our favorite off-season diversion in Falcon Land, is back. Greg Christopher talks here about the APR, football games times, BG applying to host an NCAA Arena in the new Lucas County Arena, and whether the hoops team will still play in tourneys. I think hosting events at the Lucas County Arena (NCAA, or a holiday tourney, as suggested in the question) would be really fun. I love, let me say, love, his philosophy on getting home games for the hoops team. That's the only way to build the fan base back. Last year, we invoked Marlin Brando's performance in Apocalypse Now to describe our special teams....the horror! It was absolutely obvious following last season that this team would not contend for anything without improving the special teams, which were atrocious in 07. We were last in the MAC in kickoff coverage. We also gave up 3 TDs in 40 returns. We were last in the MAC in punting. We gained only 29.4 yards each time we punted. Our 3.8 return was 7th in the MAC, so not such a big advantage, in fact. We were 11th in the MAC in kickoff returns. We were 10th in FGs and 10th (tied) in Xps. We tried only nine FGs and were among the league leaders in going for it on 4th down. At 90%, our Xps were also subpar. We were 7th in punt returns. And, I'm happy to report that, in fact, the performance on these measures did improve significantly, primarily thanks to three people: Srinsi Vrvilo, Nick Iovenelli, and Roger Williams, who is resting after founding Rhode Island. It cannot be estimated how important this is. For example, we were up 8 against Kent. It was late in the fourth and we had the ball. We drove into Kent territory but stalled out. A FG wins the game. Before, we would have been going for it, but this time, we were confident enough to line up for the FG and nail it. Really important. In our eight conference games, we made 10 FGs in 12 attempts. We were among 8 MAC teams with double digit FGs, but tied for second in accuracy. We made every single extra point. As noted, our net was 29 yards per kick last year. Frankly, it wasn't much better this year. Our net in conference games was 29.9. We had no blocks---so that alone was nice. There's no stats on this, but I seem to recall that Iovenelli nailed the other team deep in their zone a number of times which would effect his distance statistics. The average MAC team had a seven yard improvement on each punt. That's significant. But, our punting was steady and kept us in games. A big improvement. This was pretty huge. We placed the speedy Roger Williams back there at one point, and he really turned things around. We moved up to 7th and Williams showed the ability to break one. Very important, and this was also a big help. Perhaps the weakest point. Turnovers on punt returns went a long way to costing us the Ohio U game and the East title. We were 11th in this category. But, the average team in our league only had two yards more, and I'd be happy if we fielded every punt without ever fumbling. Last year we were last, and gave up a sick number of return TDs. The MAC is keeping the stat differently now, using the net number of the depth of the kick minues the return. This is a much better measure. We were fifth in the conference. Our kicks traveled 55 yards, which was on the low end of the spectrum, but we only had about 17 yards per return, which left us with a 38 net. This also is very important. Good kickoff coverage is a sign of a well coached team, and you give your defense a big assist when they don't have to deal with a short field all the time. Teams only ran the ball back about 2.6 yards per kick, which is pretty good. And, we held off the big play. So, that's the story. The special teams turned from throwing games away to keeping us in games to sometimes putting the game away. And that's exactly what we need. In today's football, you cannot win without competent to strong special teams. It just won't happen. I hope we see a second straight year of productive special teams play. Continuing the review of the 2007 season, let's take a look at how our defense performed. First, its always good to look at what my general impressions were. We struggled a lot, especially against the run. However, in our stretch run, against teams like Kent and Buffalo and Toledo, we gave up pretty big numbers but we got enough stops to win the game. Of course, winning the game is the objective. Still, you worry. It would be nice not to have to light up the scoreboard every week to win. And, we're looking for a MAC Championship this year---the defense has to be good enough to make that happen. You might argue that this is what truly matters, and I would guess that would be right. If it is, we had an average defense, as we were 6th in the MAC in scoring defense. But make no mistake...that was only 1 PPG better than the year before, and the reason we went 8-4 was because the offense got better. This is the second most effective measure, because it rates the defense as a whole. The interaction between run/pass isn't as hard to tease out. We gave up 405 yards per game, 8th in the MAC. This was 5.6 yards per play, which was above the 5.4 for the last two seasons. (Just for the record, this was almost exactly the profile Central Michigan had). Rushing was clearly the defense's achilles heel. Teams ran the ball 361 time against us, by far the highest in the MAC. Teams ran the ball 62% of the time against us, the highest in recent memory. And they had success. 4.5 yards per carry is .4 yards per carry more than last year, and 11th in the MAC. We had a lot of injuries in the front 7 last year. Bunch of guys started on the line and at LB. John Haneline was the best tackler in the MAC when he got injured. On the other hand, Glen Stanley helped bail us out....and he's gone. Phil Steele feels the line and linebackers are looking to be much improved this year. Let's hope he's right. Five teams last year held their opponent to under 4 yards per carry (including Central Michigan, our target). Be great if we could do that, too. This was the stronger part of the defense---but not an unqualified strength. We were technically second, when you look at it by yards per game, but given the play mix above, that's not too surprising. We have up a 59.9% completion percentage, which is better than last year, but the 7.5 yards per catch was worse than last year. Our six INT's were only average. When you look at pass defense efficiency, which combines all of the above, we were ninth. And, in this case, the front 7 can't be blamed, because we were second in sacks. One of the hard things about statistical analysis in football-as opposed to for baseball--is that things are more organic and less discrete. For example, as teams ran the ball against us, we would have naturally began to fill the box, opening up passing lanes for bigger plays. Question is, if the front 7 is better, will that put our experienced and talented D-backs in better positions to make plays? As noted before, we were +1 in turnovers. That's good, because we were 8-4. (There's a school of thought that a good season built on an obscene turnover margin is tough to maintain--hello Ball State and Eastern Michigan). Anyway, our 14 turnovers gained was fifth in the conference, which is actually pretty good. Another school of thought is that the key to successful football is getting off the field on 3rd down. I am, in fact, a subscriber to this school. Success on third down is, of course, related to success on first and second down. Even so, you gotta get off the field. We were 11th in first downs, giving up 176. (The MAC only counts total first downs so, surprise, the teams with 8 games tended to have more first downs allowed than teams that played seven games. I don't have the energy to do the math). That's 22 per game which is still a lot. Remember, that's an average! On third down we were 11th at 43.7%. That's about 4% worse than the past two seasons. Without any real backing, I just think that teams that can run effectively can set up favorable 3rd down situations. Here's a really odd stat. We had the second fewest penalty yards per game. We had only 46 penalties in 8 games. But, we gave up 18 penalty first downs. WTF!!! 39% of our penalties--for the team--gave the opponent a first down. I can't believe I am seeing that. I'm think pass interference, but I don't have any back up for that. Anecdotally, our defense bailed us out with some really strong red zone play, especially in the Kent game. This is the kind of profile that we have....lots of yards, not so many points. We were second in the MAC in red zone% at 66.7%. One third of the time a team got to our redzone, they got nothing at all. (4 missed field goals, 6 on downs, 2 INT and 1 fumble. The six on downs is the most in the MAC). Only two years ago, our % was 85%. On points per possession, we were also strong. We gave up only 3.2 points per red zone opportunity. I cannot imagine a time when it was lower, in fact. Of course, we gave up almost 5 redzone opportunities a game, which was second in the conference. A question here: I know Phil Steele often talks about the turnover-turnaround paradox. Is this one, too? Certainly those 4 missed FG's were luck and can't be replicated. But how many of the other 9 were earned. Certainly the 6 on downs. The INT and the fumble are hard to tell. Our defense was about in the middle of the pack in the MAC, and primarily suffered from all the problems you would associate with a team that cannot stop the run. If the front-seven gets better this year (and that's a challenge), than the entire portfolio looks to improve. And it needs to, for us to win the MAC. Well, there's talk of more conference shifting going on. Specifically, as the Commissioner of the Big East is retiring, there is talk of a basketball league and a football league emerging there. The article linked above does not have the Big East raiding the MAC...three of the four teams are C-USA (Memphis, Southern Miss and Central Florida). This is a blow to the delusions of grandeur for Miami and Toledo, both of whom fancy themselves as targets. For the MAC, the question is what would come next? Would C-USA then come and try to bring some MAC teams into that conference? Who knows. MAC fans have contempt for C-USA but it has more financial clout and more major metro areas, even after the Big East raid. Just a quick Falcon note, the game time for the Minnesota game has been set. The game will start at 7:30 PM and be on ESPNU. Under the lights, a full house (we hope) at the Doyt, quasi-national TV. Can't wait! The Sentinel reported yesterday on charges against DT Orlando Barrow for home invasion. You can read the story here. Obviously, any person is innocent until proven guilty and we should wait to see before we draw conclusions. The charges are, however, serious.